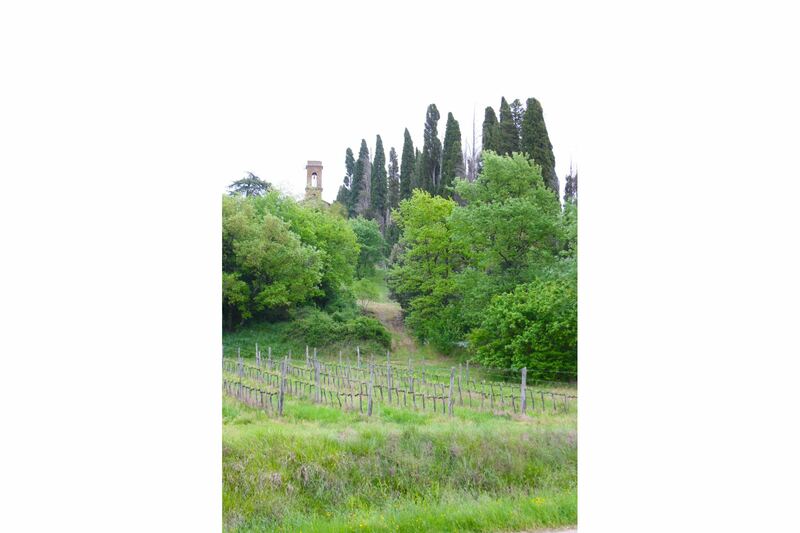 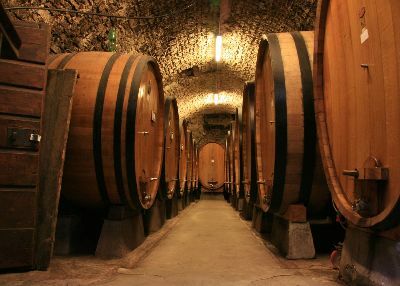 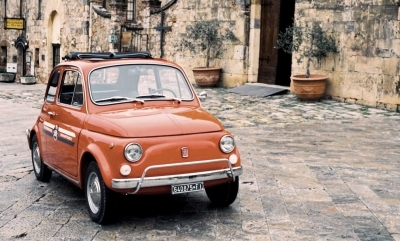 Plunged in the typical scenery of the Tuscan countryside. 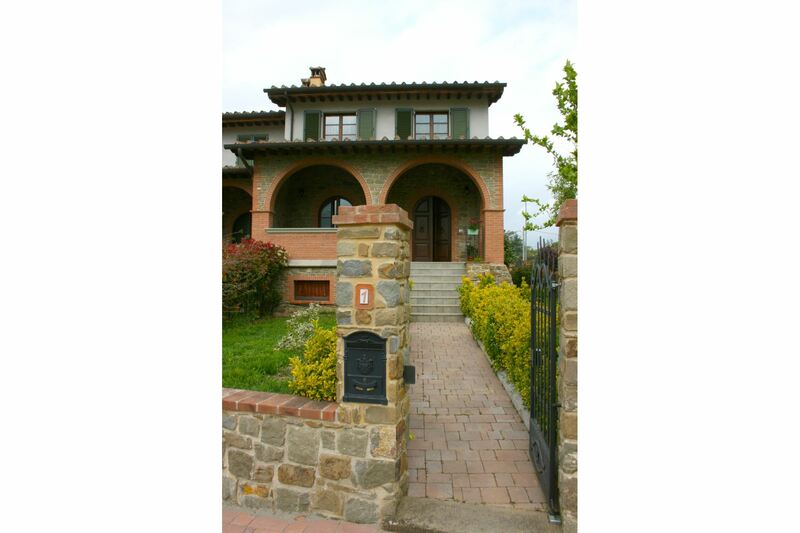 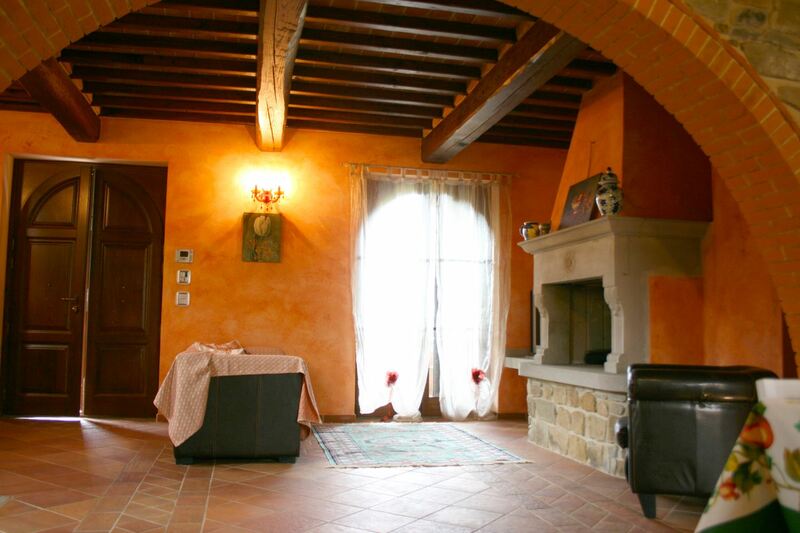 Casa Rolu is a typical small villa in bricks and stones, placed next to the owners house, refined with wooden beams and terracotta floors following the ancient peasant farmhouses tradition. 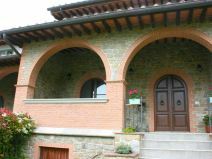 The house is located in the outskirts of the small village of Ciggiano, only 6 km away from Monte San Savino, and is plunged in the lovely typical scenery of the Tuscan countryside, among wooded hills and cultivated fields. 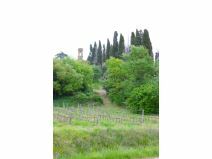 The nearby village of Monte San Savino. 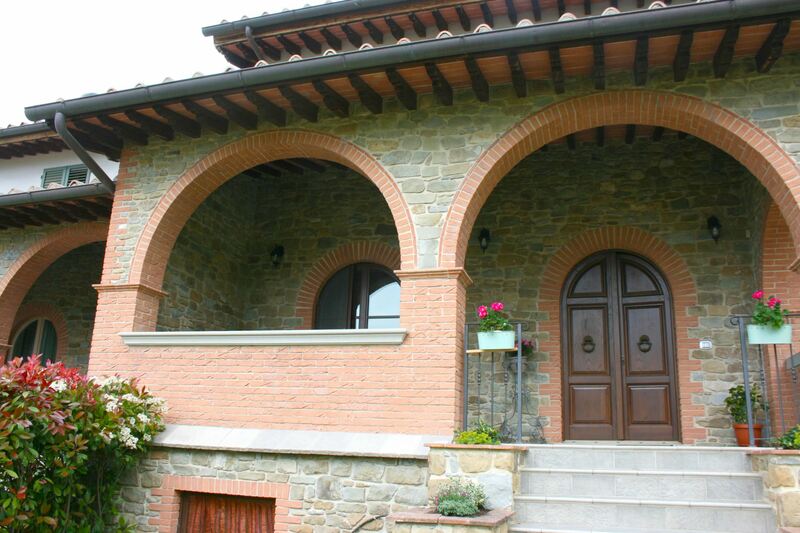 Monte San Savino is an old borough that still today preserves its unaltered architectural features. 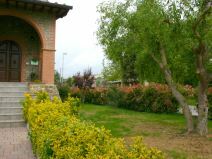 The well maintained circle of walls, the many Medieval and Renaissance buildings make the village a place rich in charm and history, also endowed with shops, typical restaurants and all kind of facilities. 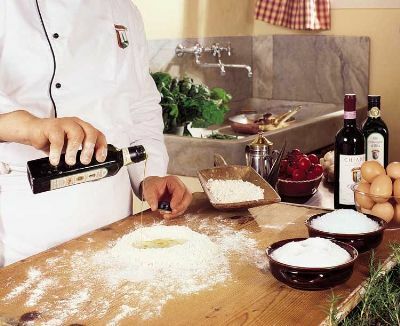 Various important cultural and gastronomic events take place here throughout the year. 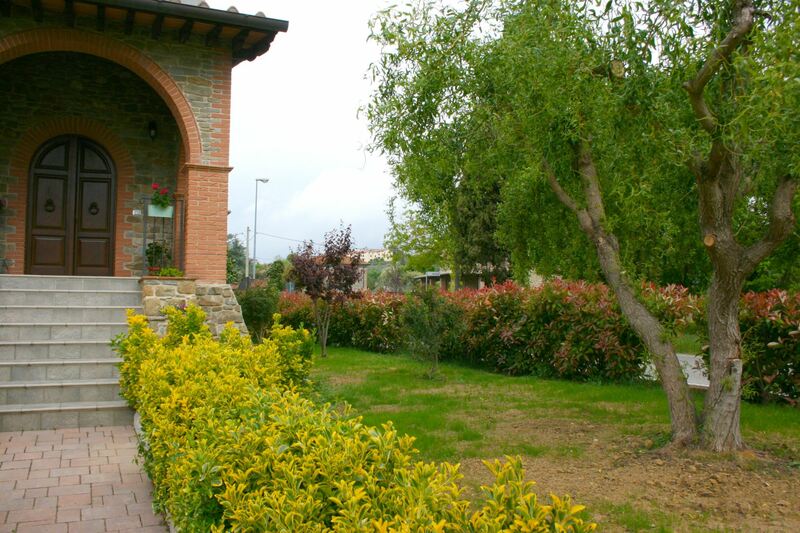 The small hamlet of Ciggiano, with a grocery store and the pharmacy, can be reached on foot in 5 minutes. 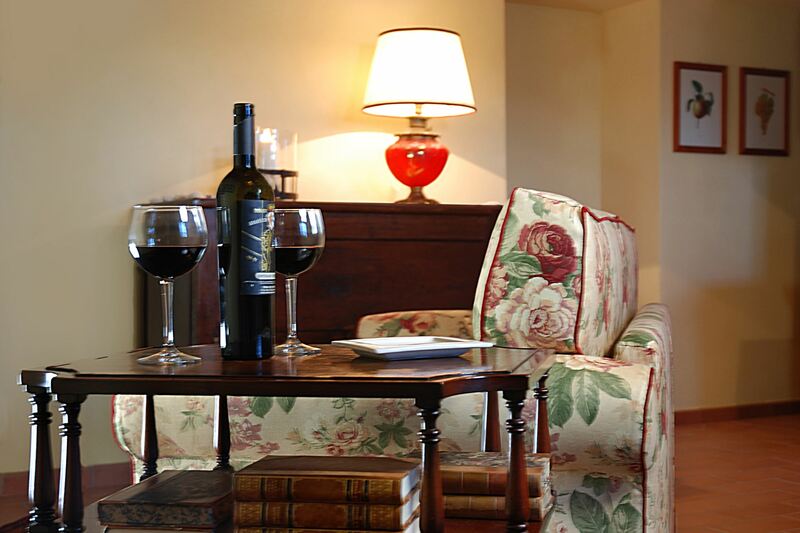 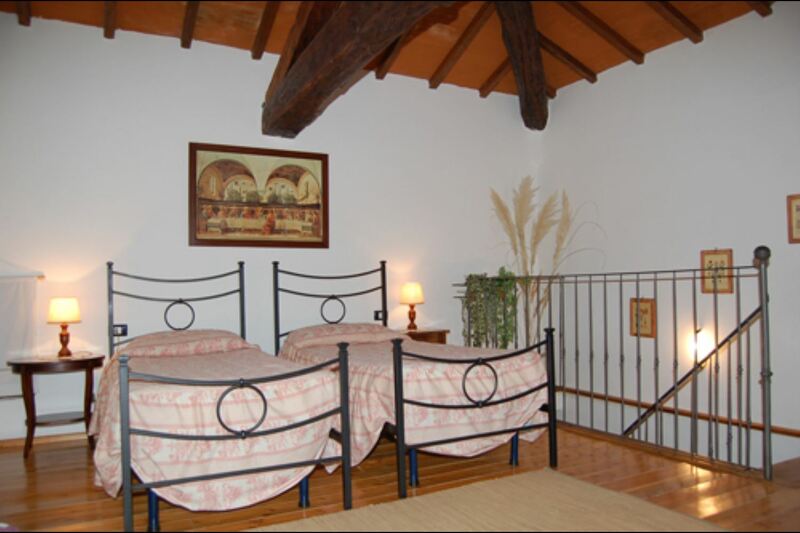 Cozy and well equipped, guarantee of a relaxing vacation. 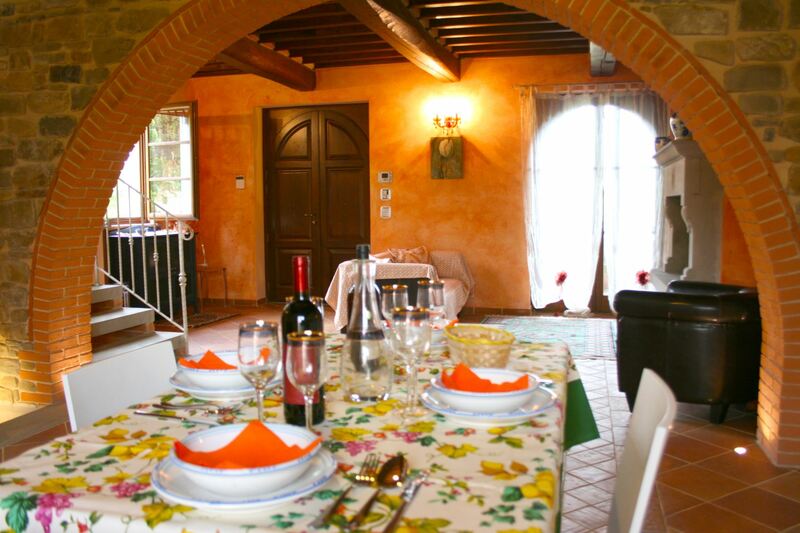 Casa Rolu features a nice and well-kept garden, car spot inside the property and a porch equipped for outdoor meals, together with Wi-Fi access, Satellite TV, alarm system, barbecue and wood burning oven, which guarantee a cozy and relaxing vacation. 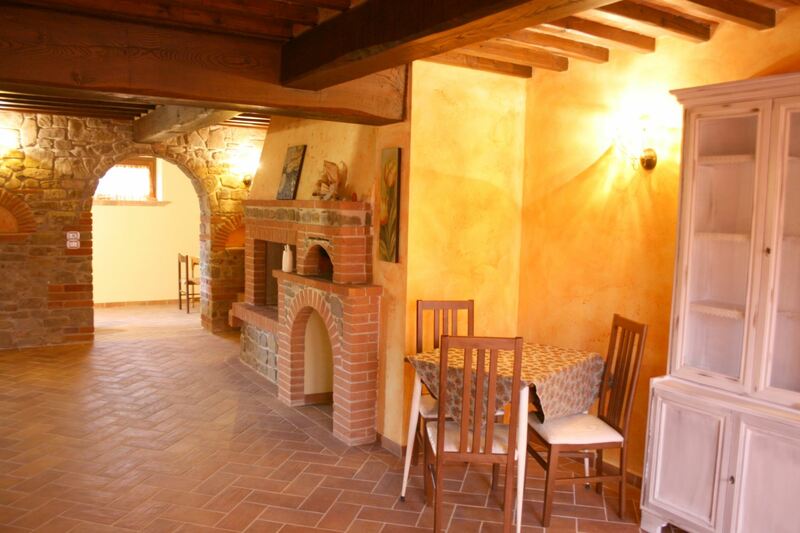 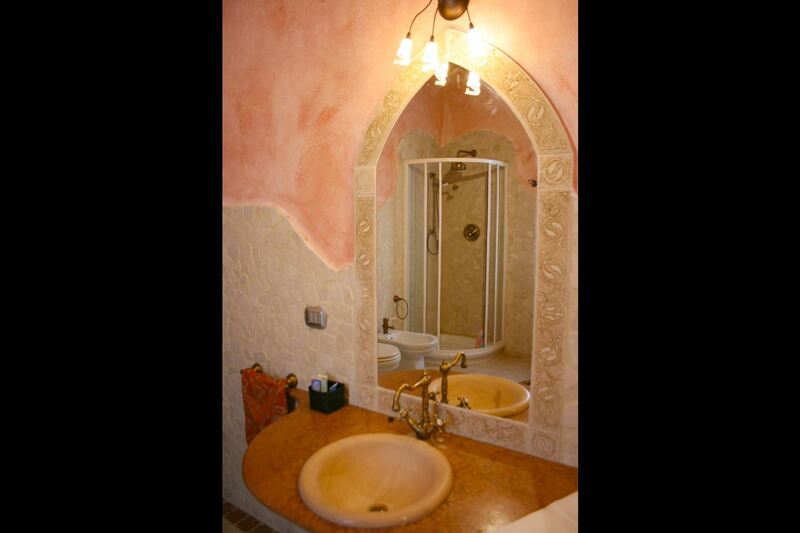 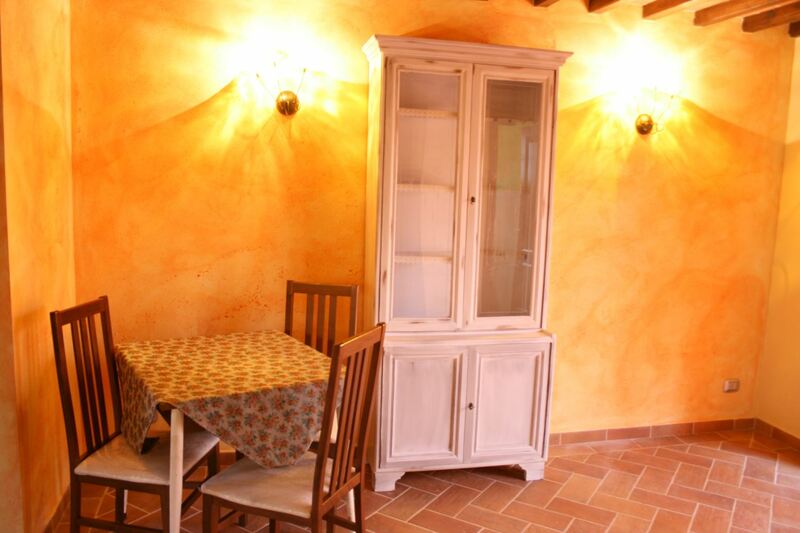 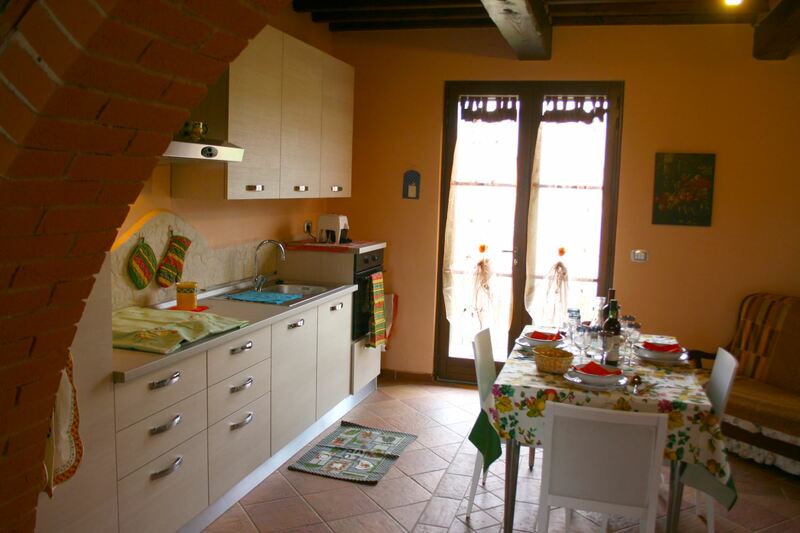 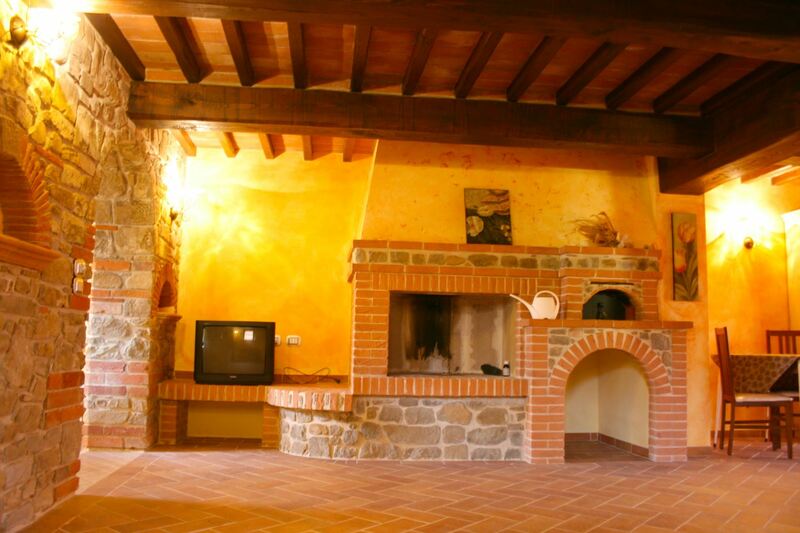 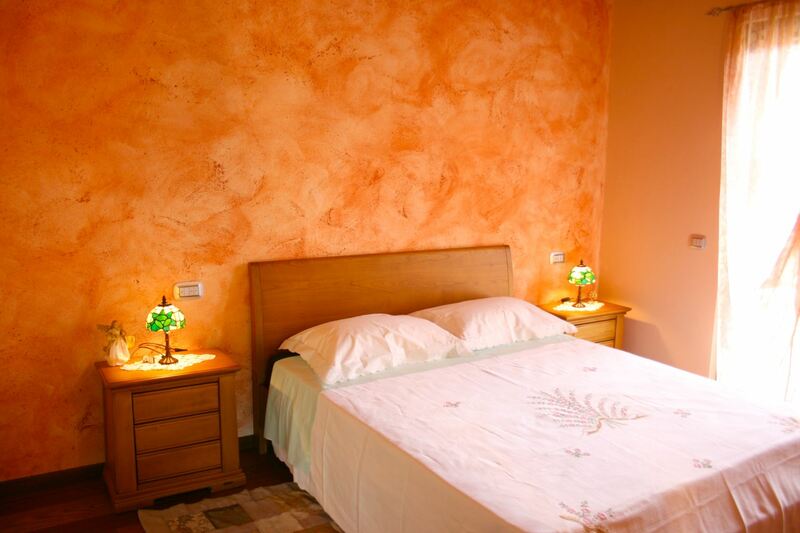 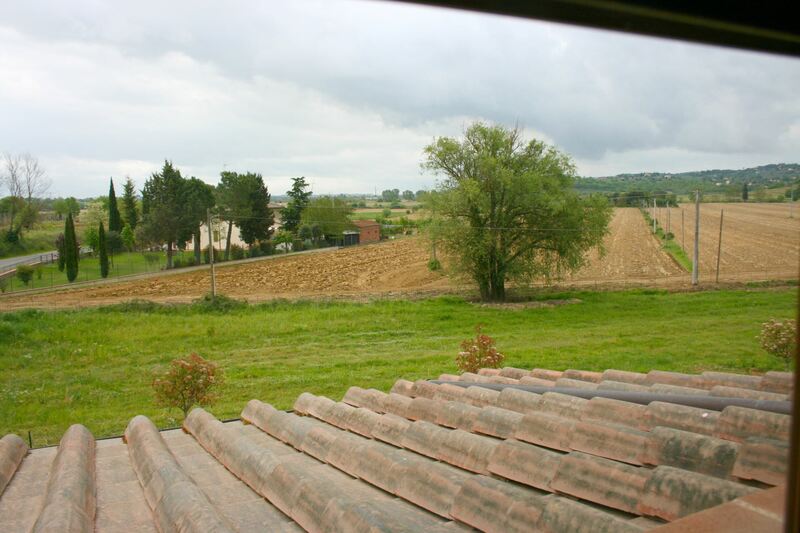 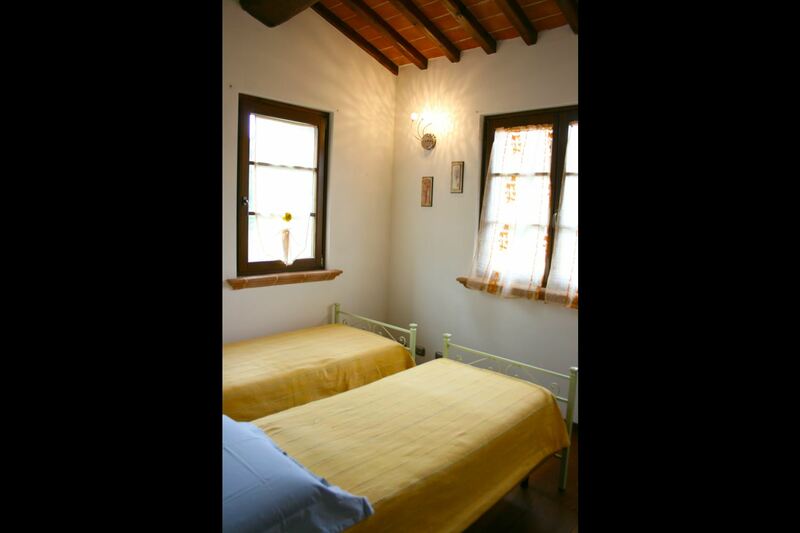 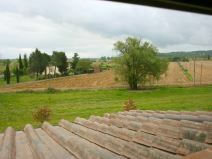 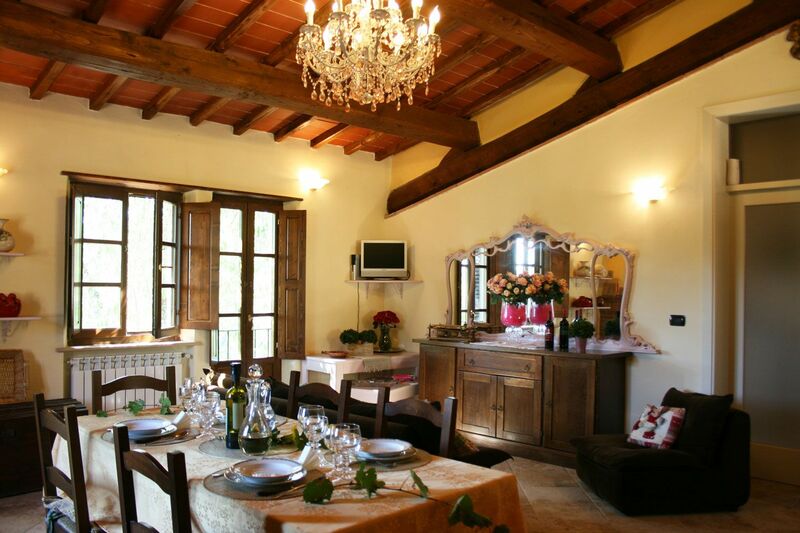 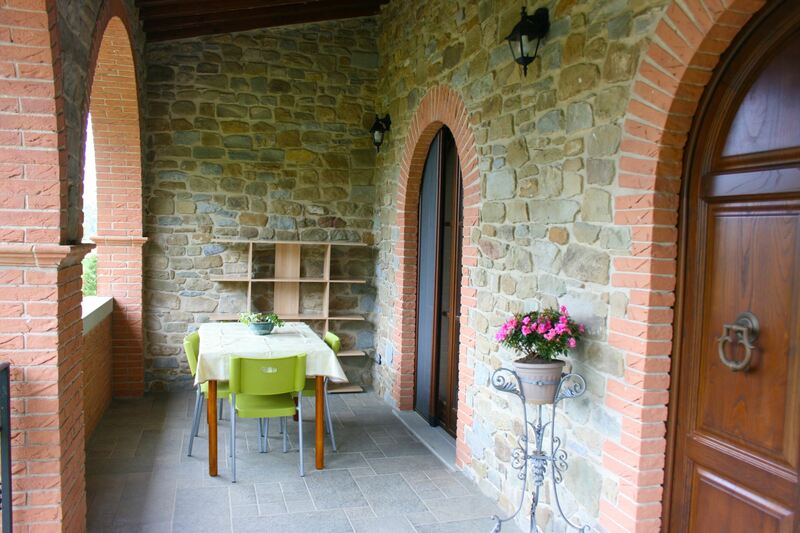 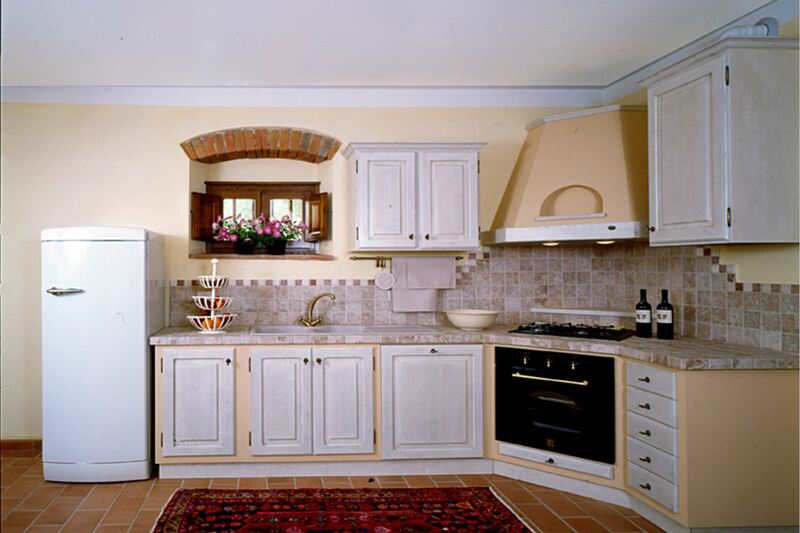 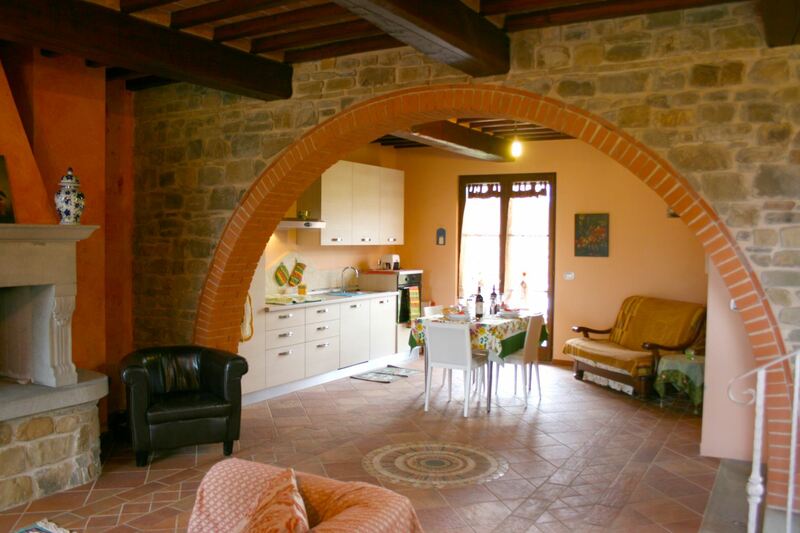 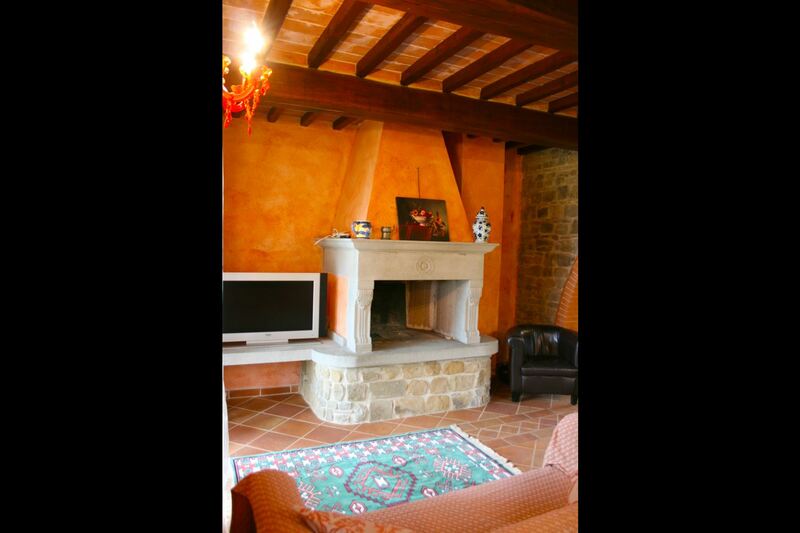 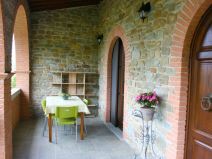 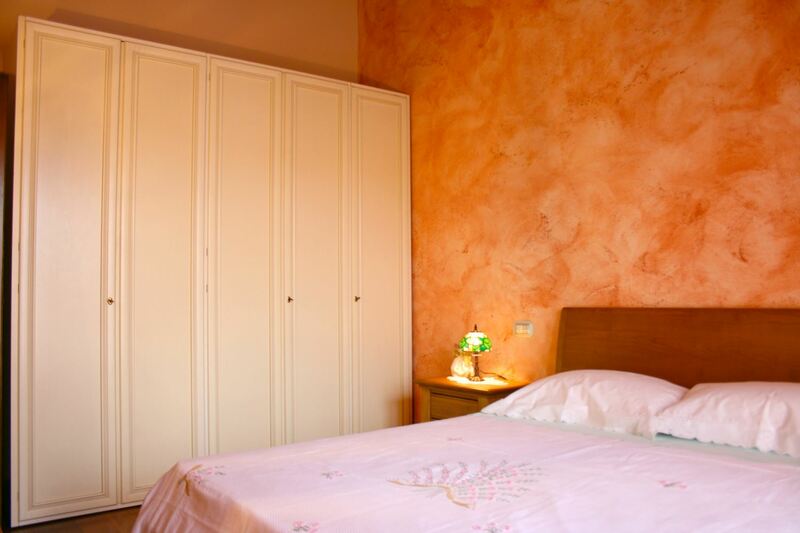 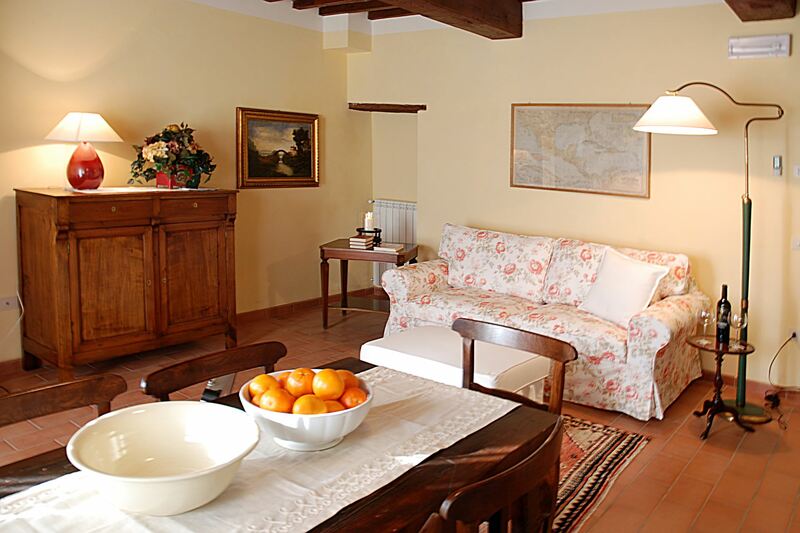 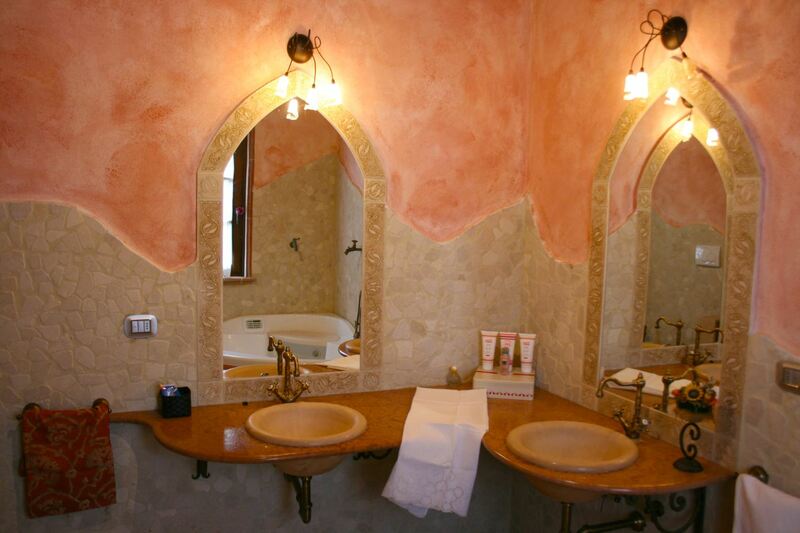 The house is the ideal starting point to visit the major centers of Tuscany and the nearby Umbria region. 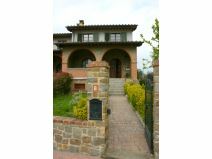 GROUND FLOOR: with access through equipped porch reachable through some steps, wide living-dining room with sofa, Satellite TV, fireplace and kitchen corner, balcony with direct access to the garden. 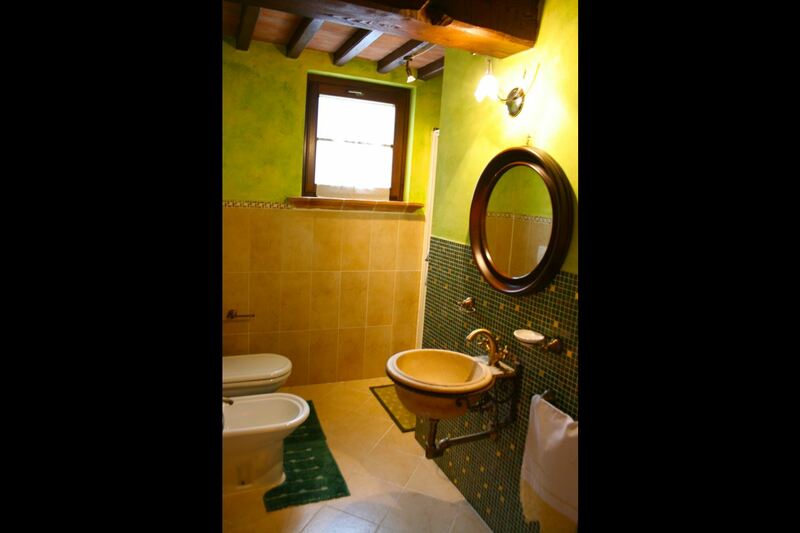 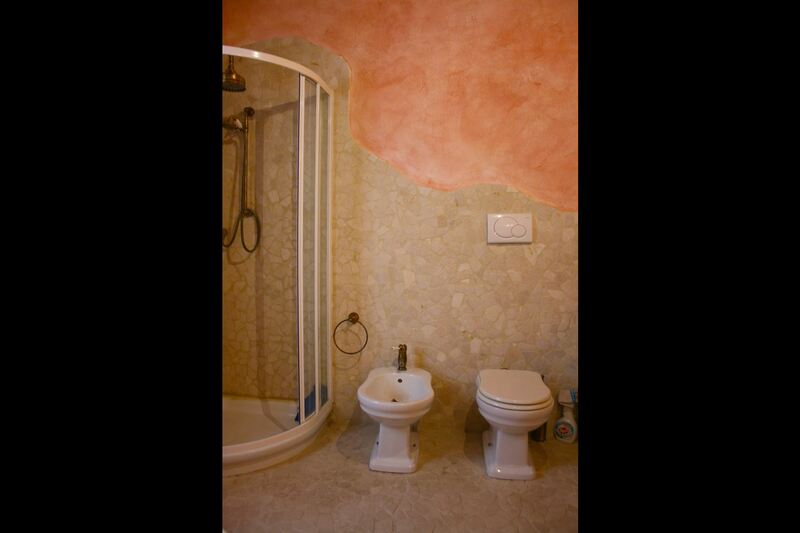 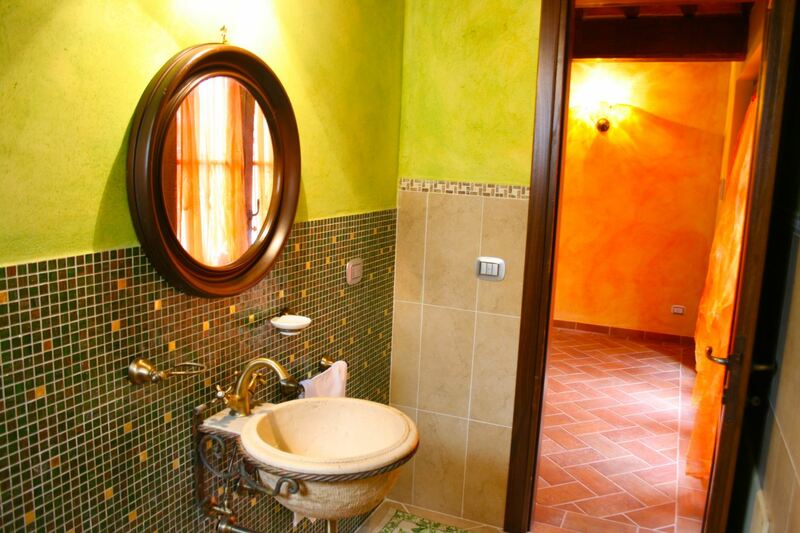 Small bathroom with WC, washbasin and bidet. 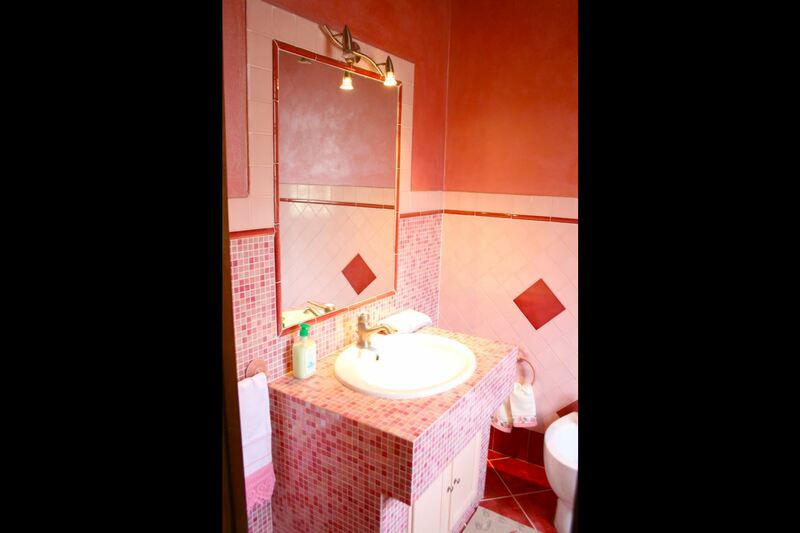 FIRST FLOOR: accessible through internal staircase, two double bedrooms one of which with panoramic balcony, twin bedroom, bathroom with Jacuzzi bathtub and shower. 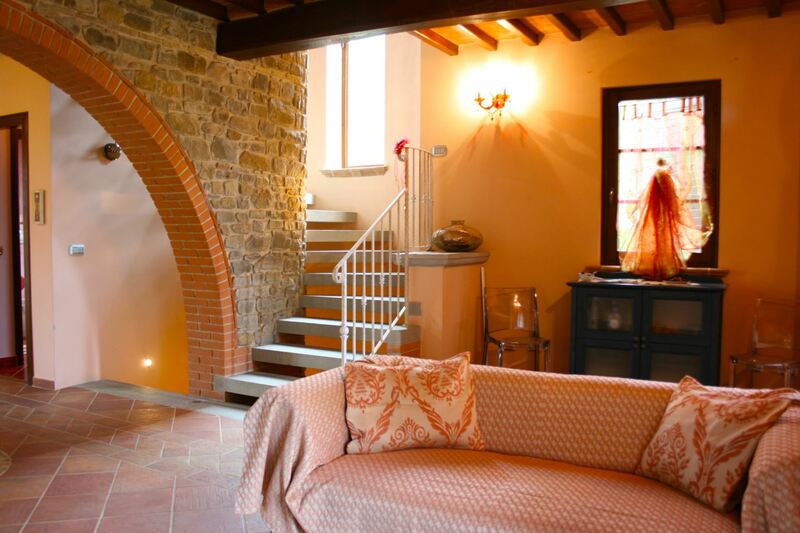 From the ground floor living room access, via internal staircase, to the basement where there are a large living room with sofas and Tv, fireplace, wood burning oven, a laundry and a bathroom with shower. 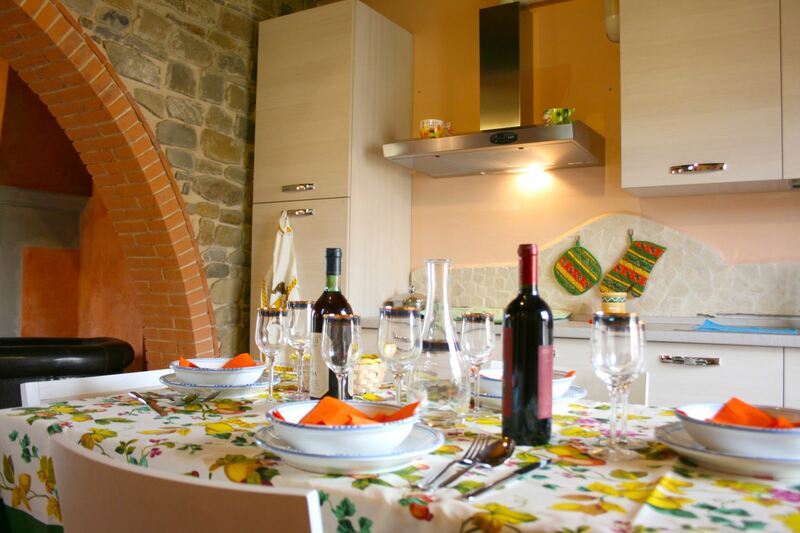 EQUIPMENT: fridge with freezer, oven, microwave, dishwasher, washing machine, Wi-Fi Internet access, Satellite TV, filter coffee maker, moka coffee maker, espresso coffee maker, highchair, toaster, alarm system. 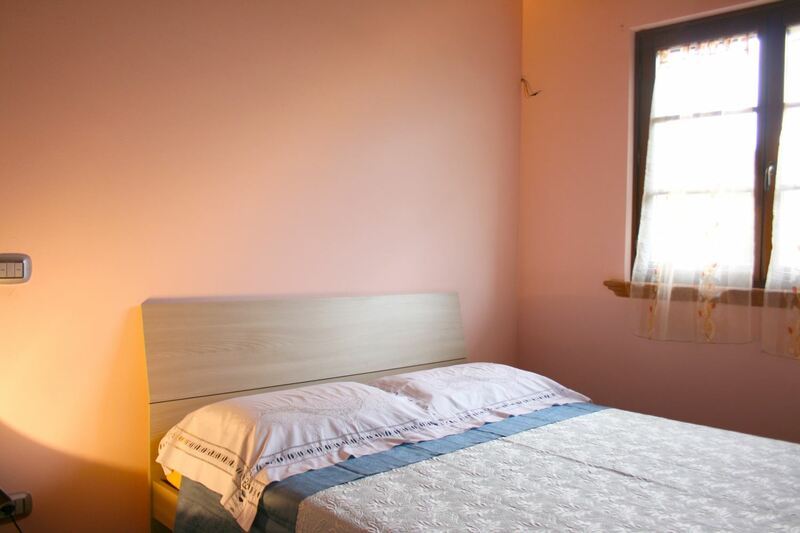 Sheets and bathroom towels included in the price. 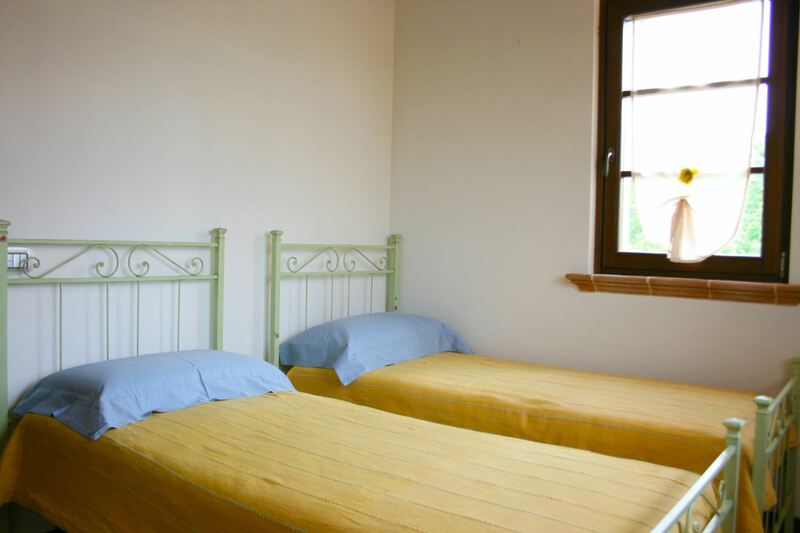 Change of sheets (on request) Euro 5 per person. 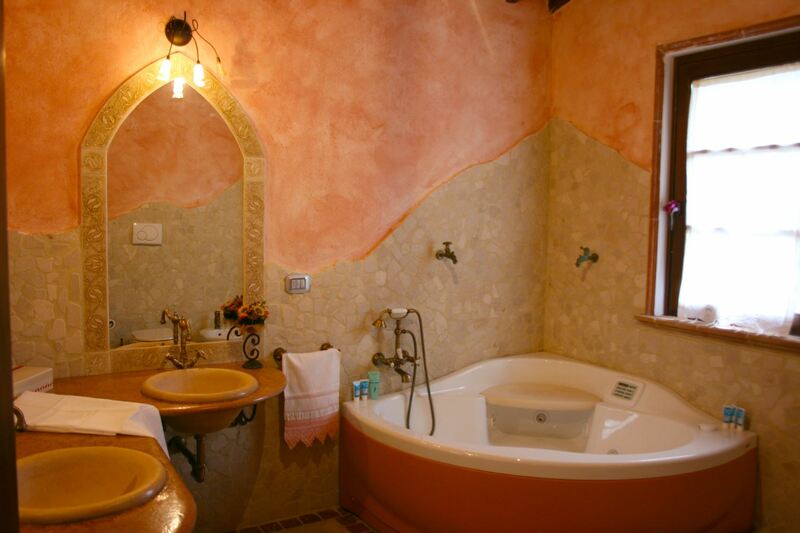 Change of towels (on request) Euro 5 per person.